Foundation staff looking at camera. 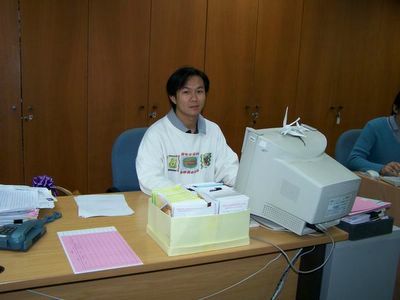 Thanawat Maschirapa ("Song") used to work for the Foundation as Administration officer. Now he works for Hire Purchase Department at TISCO Finance. Khun Suthep and Bee review Tsunami assistance.